With the weather teetering between 20 and 50 degrees and tons of snow here in Denver, I thought it be nice to throw it back to the my much warmer trip to northern California over the summer. It was my first time visiting the state, not to mention the my first time to the west coast, and I was instantly in awe by San Francisco, the scenic views, Pacific Coast Highway, and WHALES! I still can’t believe I saw whales just out in ocean roaming freely and giving me (and the hoard of other people stopped in amazement) a nice little show. Over the next few days, we saw the red woods, walked on the Golden Gate Bridge after hiking through the park to it, walked throughout the city, experienced all the quintessential touristy things to do, and took a day trip out to Napa Valley for some awesome wine, We also visited Alcatraz, which was SO cool! I highly suggest doing the audio tour when you go there. The narration makes the experience seem that much more real. Another highlight of our trip was taking the hike to the park that over looks the Golden Gate Bridge. We did it with friends who live there and met up with more to end our hike with a picnic. We had drinks, tons of food, music, good company and all with the GGB as our backdrop. It was the best last day in San Francisco I could ever imagine. I was seriously in amazement the entire time we were there and, basically, the only adequate way to describe my trip is “a travelers’ paradise”! Check out below for pics from my travels! Dating a vegetarian has opened my eyes to the daily difficulty that comes with trying to find somewhere to eat. Having dietary restrictions makes this even harder when traveling and trying to please multiple appetites. You would think that with all of the people that visit the Walt Disney World Resort, “Mickey” would make sure that there were plenty of options, besides salad, for his friends with special diets, but that is simply not the case. Below I have listed out the best restaurants, both quick service and sit down, around the Disney property that offer vegetarian dishes or that I have experienced can facilitate special requests. Keep in mind that most of these restaurants only offer one, maybe two, entrees that are vegetarian, so if you have a picky eater, check out the menus available on the Disney Dining site for full descriptions! Also, most of the quick service options only offer Quinoa burgers, which I have experienced to come out VERY greasy to the point that my boyfriend could not eat it without getting sick and some offer just Portobello Sandwiches (a no-no for mushroom allergies). T-REX: MY FAVORITE! If you have special dietary restrictions, the chef will come out to the table to fully understand your needs and, in our experience, has created fully custom dishes to satisfy our needs and taste buds! 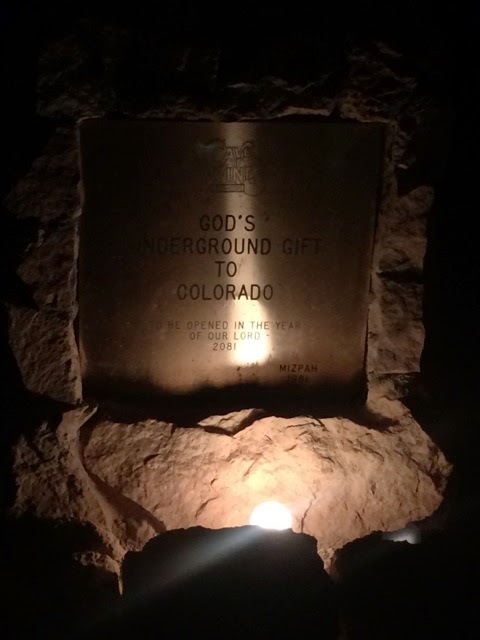 During my trip to Denver, CO, the boyfriend and I decided to trek down deep into the earth at Cave of the Winds in Colorado Springs- technically Manitou Springs. About an hour from Denver, this attraction was definitely worth the drive. You can pick from two different tours, the Discovery Tour (more suited for families) and the Lantern Tour (for the more adventurous). We decided to toughen-up and go on the Lantern Tour. So worth the extra $10. A bit of a disclaimer, the Lantern Tour is not for the faint of hearts. It is a pretty long trek with lots of almost crawling, ducking, steps, and some slippery floors. You can really feel it, especially with the altitude and temperature change, but it is obviously doable. We did have to wait a bit before our tour began, but there is plenty to do and see until then! 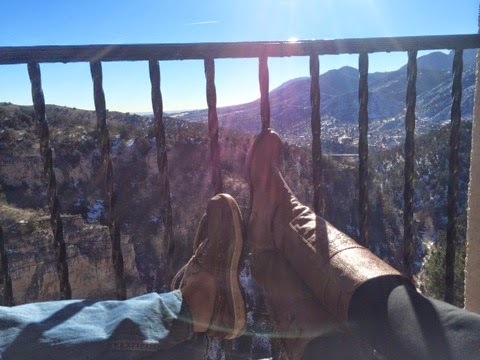 The building has two decks that overlooks an absolutely beautiful mountain and valley, so we just posted up in the rocking chairs admiring what Florida is seriously lacking in appealing landscape. 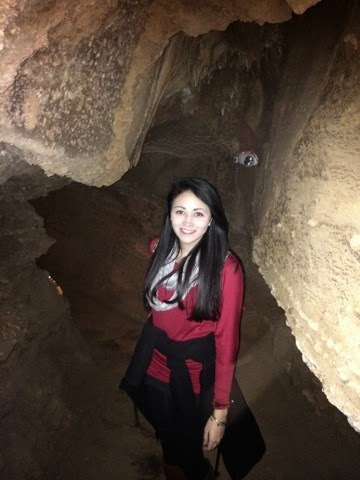 The tour started with pictures at the entrance of the cave before we made our way to the grand cavern (If you’re a picture person like I am and its a slower day, they’ll let you retake it at the end of the tour until you’re happy). Our tour guide, Chris, was wonderful. Very informative and funny. He gave the group a brief history of the caves, which were discovered in 1881. I love learning and hearing about the past, so I was all about this tour. 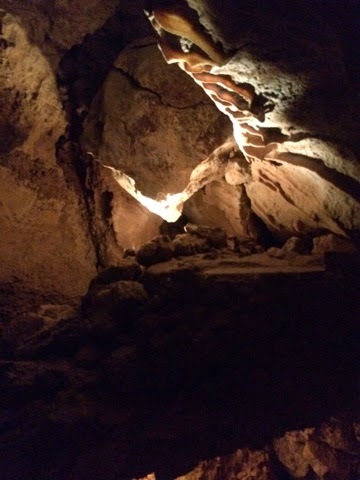 There were so many interesting tid-bits we learned about the caves themselves, their discovery, the man who discovered them, and some “ghost stories” that linger in the caves. After completing the majority of what the Discovery Tour covers, we moved onto the sections that were exclusive to the Lantern Tours. This involved going up a few more flights of stairs to another make shift entrance. Before going in deeper, we were all given hand-held, gas-and-wick lanterns (so cool!). We explored more passage ways, cool illuminating rocks, and experienced total and complete darkness after putting out our lanterns. During the darkness phase, Chris talked us through the sensations our eyes were going through trying to adjust through the darkness. It was a really interesting experience. 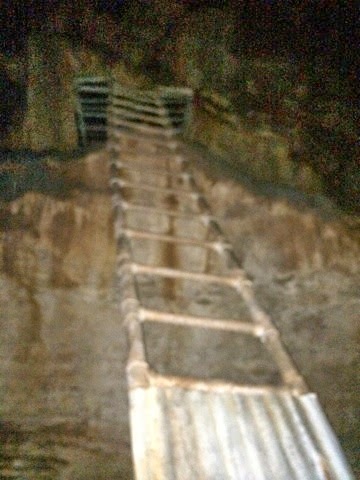 The trip wraps up as were taken back through the caves. After working our way through different passages and witnessing so many other holes in the walls, I can only think about how many other passages that have yet to be discovered! 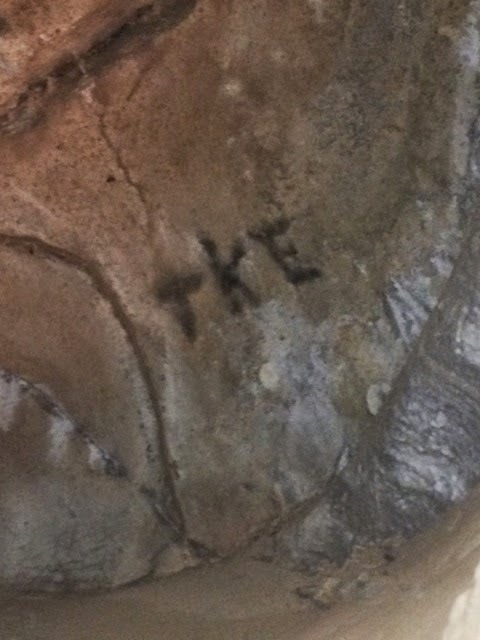 Oh and there is a section of the cave where previous visitors have left personal mementos to mark there trip to the caves permanently, so be sure to bring a business card or old school ID with you! I wish I had known that before, but I’ll just have to go back next time I’m in town! No idea how it got there, since it’s about three stories up, but how cool?! Try and find it on your visit! 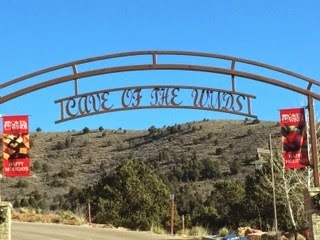 Overall, the Cave of the Winds tours are a definite to-do attraction when in Denver or the Colorado Springs area. 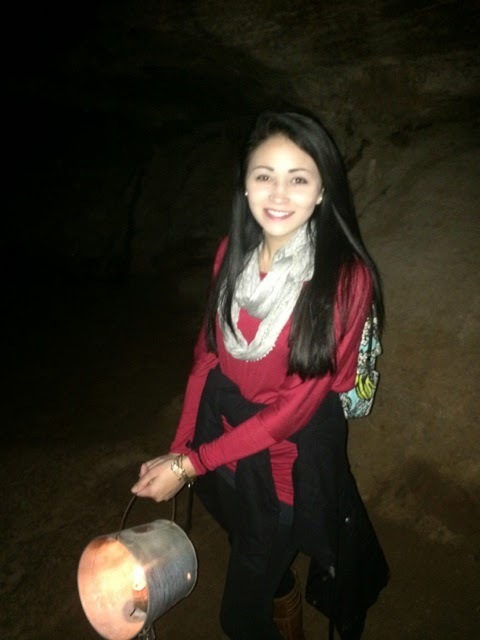 You’ll experience history, folklore, cavern passages over hundreds of years old, and it is an experience that the entire family can enjoy. Plan in advance and purchase tickets online for a discount! Anyone else experience Cave of the Winds? Let me know what your favorite part was in the comments!